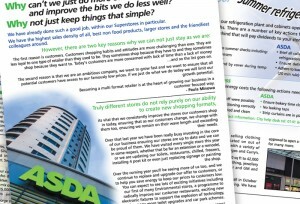 This fully branded newsletter is produced strictly inline with Asda’s publication guidelines. 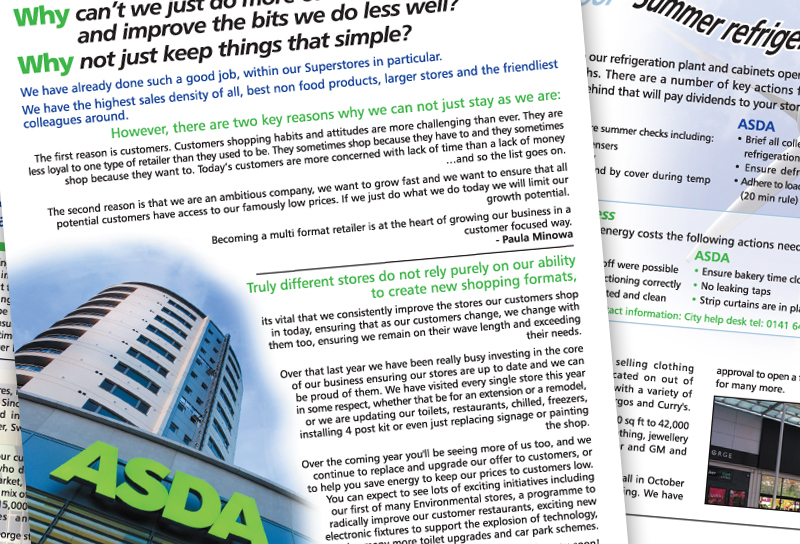 A simple, bold design cuts the wealth of information down to readable bite size chunks. This helps to engage the reader. Which in turn ensures you get your message across. Our designer’s attention to detail ensured we got it right first time, meaning we were able to turn this project around well within the tight deadline.